Critical’s Modulations marches forward this time picking up even more new talent in the form of Mortem. 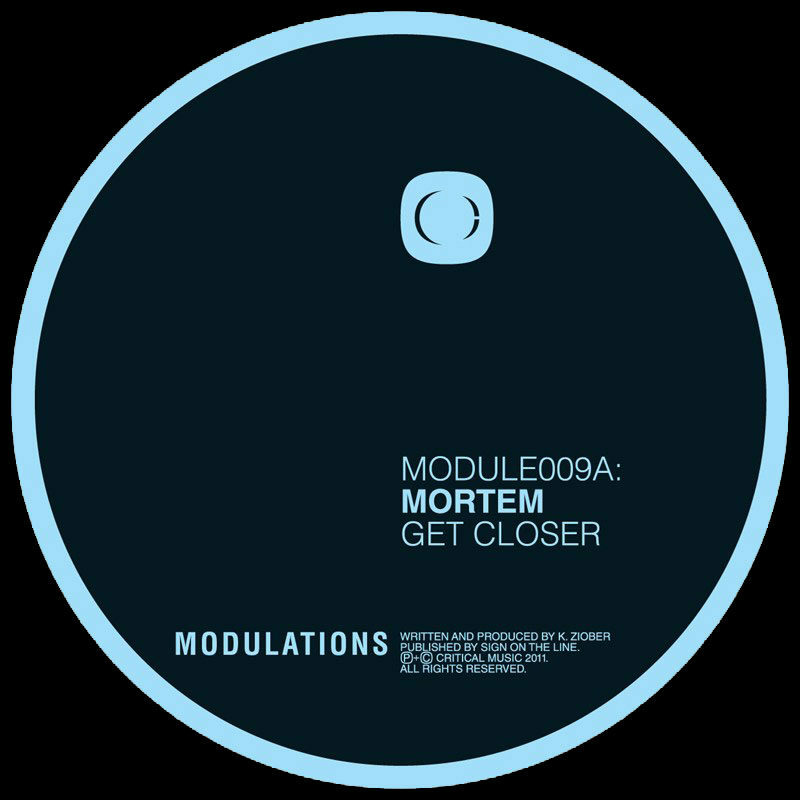 Coming straight out of Poland this marks another solid step in Mortem’s burgeoning career, his first official release for the Critical stamp and a great pre-cursor for the future; there’s a lot more lined up in the studio where this came from, trust us! Smooth, ethereal pads abound as ‘Get Closer’ opens proceedings with tapping percussion and a rocksteady break that set the mood. A low-slung tech-drenched bassline is what this is all about and when it drops it rolls hard drawing influence from that old Virus space funk sound from yesteryear. A very polished piece of production indeed. ‘Monoveler’ is sinister from the off, industrial borders on the medieval as the intro paves the way into a future-glitch b-line that claws its way inside the mix as the bars move forward in a tense battle all the way to the bitter end. A very cool indication of what more is in store from Mr Mortem.